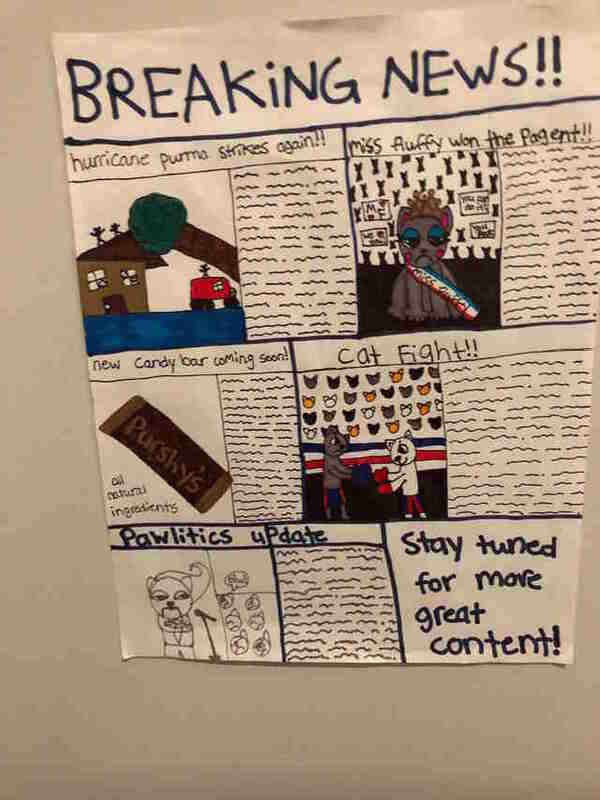 He gets to read VERY important "pawlitics" updates. Baba Ganoush joined his family when he was just a kitten. He’s 7 years old now, and has had many wonderful years of bonding with his family, including his human big sisters. 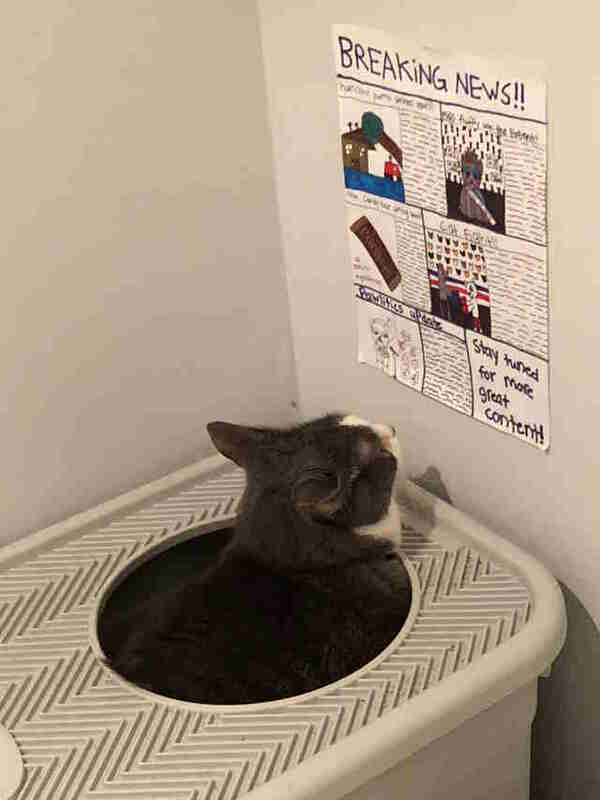 When you have siblings, you rarely have any privacy, and so one day, while Baba Ganoush was doing his business, his sisters noticed he was just staring at the wall the whole time — and thought that seemed a little too boring for their favorite cat. 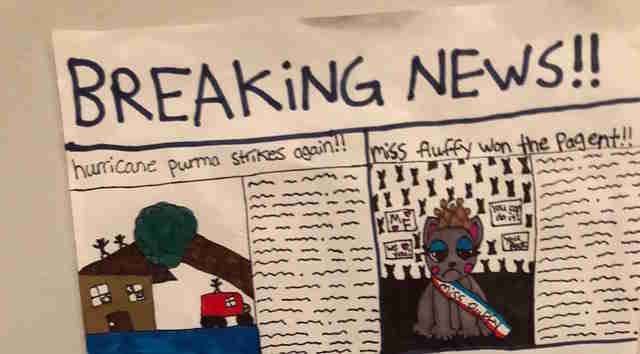 The girls, ages 10 and 12, decided that Baba Ganoush should have something to do while he went to the bathroom, and so they decided to make him his very own newspaper, and posted it on the wall above his litter box. 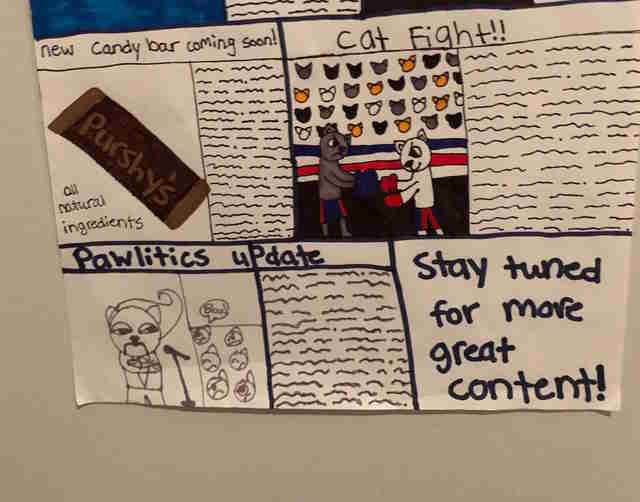 … and new candy bars called “Purshey’s” and, of course, pawlitics updates. Thanks to his creative sisters, Baba Ganoush’s time spent in the bathroom is MUCH more exciting than before. 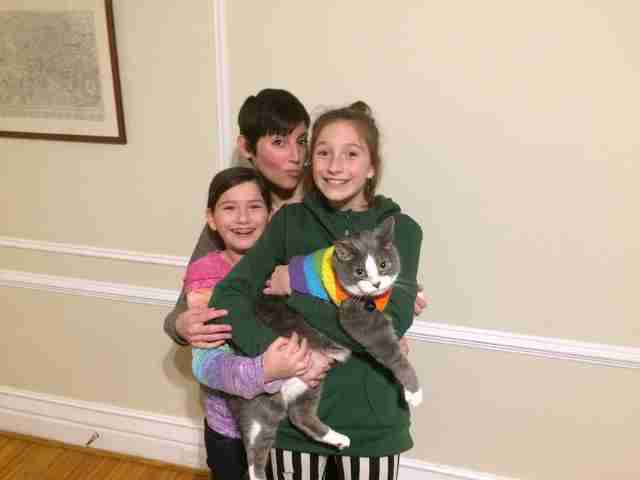 Even though Baba Ganoush probably doesn’t really care about what’s going on in the world of cats, his sisters absolutely love making the newspapers for him, and that’s what matters.